Sometimes, I feel tempted to skip the obvious and instead to share my favorite, rather obscure fact about Nepal. In 1996, when communism was already an anachronism, Nepali Maoists, with little base among the masses, began a brutal 10-year civil war. They weren’t sufficiently pure Maoists to be recognized by China but were declared terrorists by India and the U.S–though an Indian group, the Naxalites, are said to have provided them much of their military training. Their very first weapons, whose bullets heralded the opening of the war, were American-made and had been air-dropped to Tibetan rebels in 1961 to mount a revolt in China. To make the story even quirkier, the Maoist leaders are now in the fledgling new Nepali government. Their former military commander, who directed the war from India and who was believed by some to be a fictional character, today is still referred to by his ‘nom de guerre,’ Prachanda or “Fierce”, and remains a subject of Nepali gossip — not about where he may be hiding but about how he acquired his wealth and fancy cars. 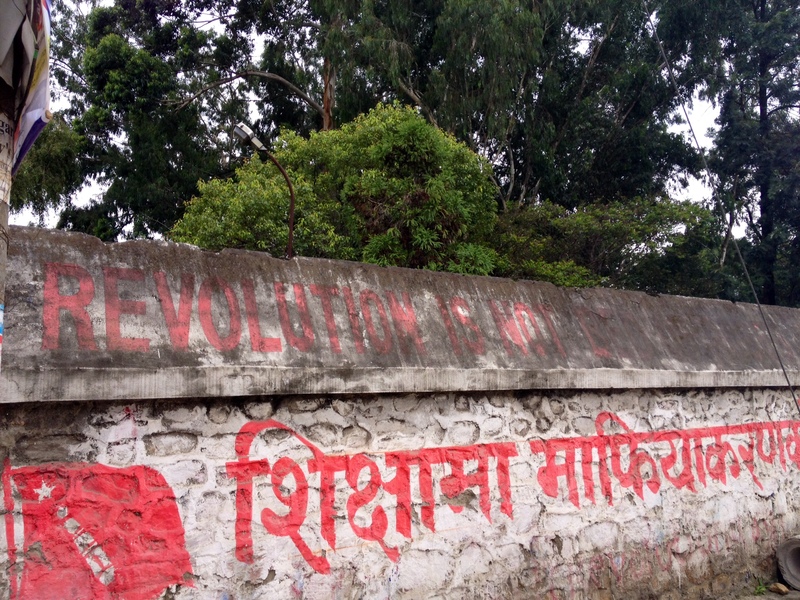 Nepali communism (a unique brand that includes three separate and fractious parties) is far from dead but it has morphed and become part of the flow of the varied influences that define 2014 Nepal. And, yes, for the tourist mountain climbers and trekkers out there, it has even made it to Mt. Everest. With the official title of “Lumbini-Sagarmatha Peace March,” a 2012 expedition to Everest was co-led by Prachanda’s son and funded by the then-communist-led Nepali government. 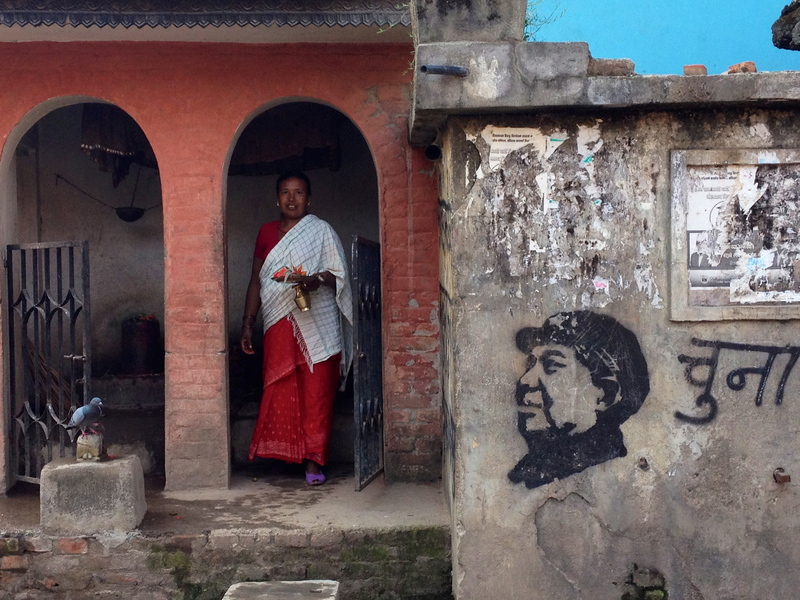 There are still black-stenciled faces of Chairman Mao around Kathmandu, and at election time last November the hammer and sickle was ubiquitous. A social media and Twitter coach might advise that they revisit their 1960s party brands: ‘Unified Communist Party of Nepal (Maoist)’; ‘The Communist Party of Nepal Unified Marxist- Leninist’. Catchy they are not. Businesses looking to invest in Nepal may also be a bit taken aback by politician’s business cards bearing these names from another era. From absolute monarchy through a vicious civil war, a military coup and now a fledgling democracy, Nepalis, it often appears, struggle, survive and succeed despite, and not because, of their governments. With bleak employment opportunities in Nepal, more than two million Nepali youth work overseas mostly in the Middle East and Malaysia as an unskilled labor force. A similar number cross the border to look for work in India. Their remittances represent about 25 percent of Nepal’s GDP. Critics point out that fewer unemployed restive youth at home means fewer problems for the government. None of Nepal’s many political parties have come up with a “Yes We Can” style political slogan, but the common man has found a phrase to express his resignation to the water, fuel and electricity shortages, the slow progress in constitution writing, and even the weather. The quintessential “khe garne?” literally translates as “What to do?” This is not really a question as much as a manifestation of decades-worth of a culturally-fed apathy and fatalism. Nowadays, the revolutionaries are not in opposition. 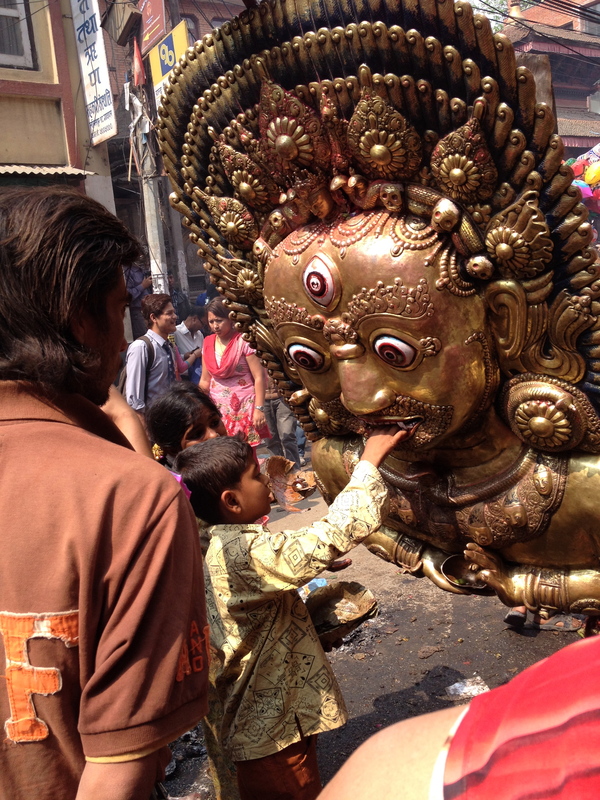 In fact, many Nepalis believe that they share in government corruption; and they remain mixed and melded and molded with deeply ritualistic Hinduism and its hundreds of festivals. Bandhs (“strikes”), once a feared Maoist weapon, are now part of the mainstream, adopted even by right-wing Hindus–but, though they are occasionally violent, as in the rest of South Asia, observing uniquely Nepali manners, they are maintained only during business hours and not on any major religious holiday. Mahatma Gandhi’s most visible legacy in Nepal is the hunger strike, often undertaken by individuals to demand justice for crimes committed during the civil war. Some are very serious, like the hunger strike of the parents of Krishna Prasad Adhikari, murdered in 2004, demanding that the police arrest his killers believed to be Maoist cadres, but others are a little more comical, in a Nepali way, like a recent statement of various civil servants that they would undertake “relay hunger strikes” until their demands were met. I told my husband that I too would be on a hunger strike between lunch and dinner. After living for four years in Nairobi, a city beset by violent crime and the danger of terrorist attacks, it has been a delight to live in Kathmandu for many reasons, including the lack of ubiquitous crime. I can go out at night, with no fear. Driving my car, I don’t have to check my rear view mirror to see whether I am being followed. I don’t even have to worry about drunk-drivers. Though Nepalis can drink–heavily–the Kathmandu police enforce zero tolerance for drinking and driving, and many an alcohol-scented driver has found himself stranded at a police checkpoint at night. Yet national interest and community self interest often clash. 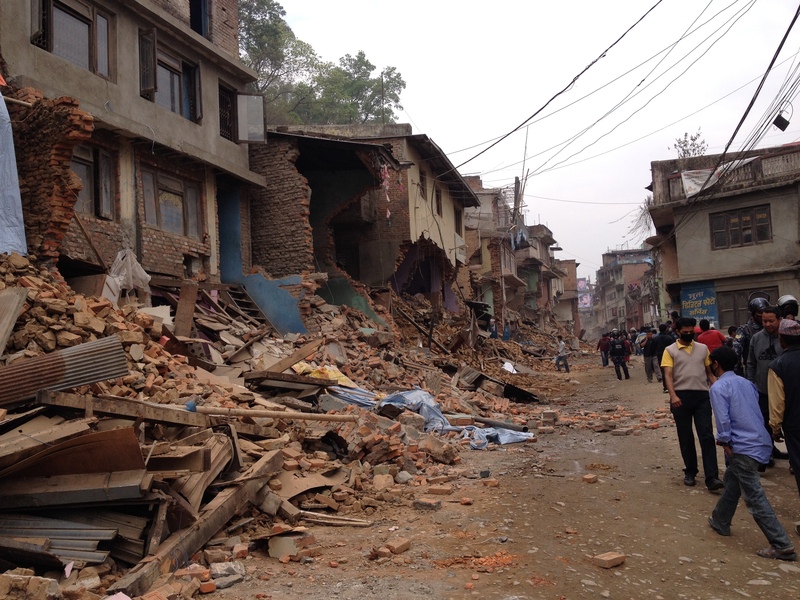 Many Nepalis feel that only protests spark government responsibility. In the aftermath of an August 2nd landslide that destroyed villages, killing 156 people and burying more than 10kms of Nepal’s only major trade route to China, the local community’s “struggle committee” blocked army bulldozers from trying to address the ensuing problems, demanding first that the government deliver the aid that it had promised. Subsequently frustrated by government inaction, local businessmen are now building their own bypass road. The government appealed for funds in the local papers, printing a bank account number for Good Samaritan direct deposits. The Chinese ambassador delivered his government’s donation in cash. 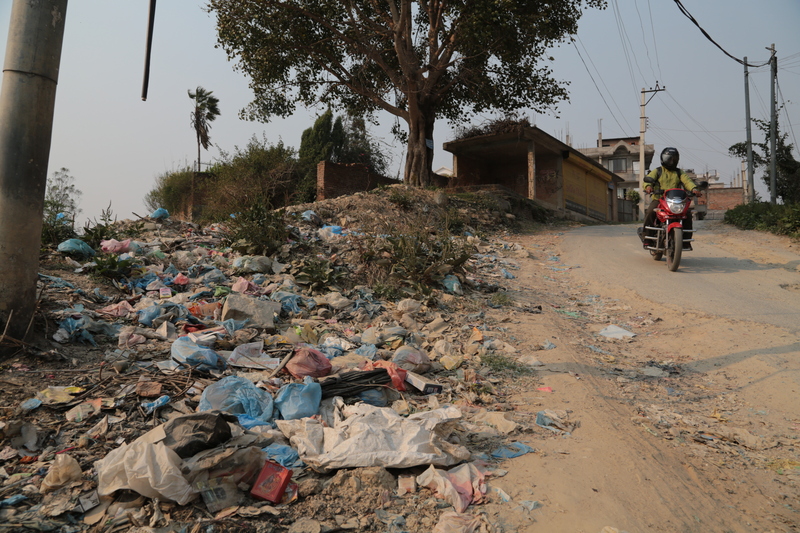 In Kathmandu recently, where garbage disposal is beyond a crisis, residents of the neighborhood adjacent to the city’s only garbage dump (a way station to a bigger dump outside the city) complained to the local government about weeks of overflowing and unmanaged dumping. When the city ignored them, the locals padlocked the gate to the dump. Needless to say, the garbage got dumped anyway–somewhere even less appropriate. Padlocking as a threat is often used in Nepal, especially by communist youth groups. This year when private schools announced a tuition hike, the youth groups padlocked and sealed the offices of the schools’ accountants, and added threats of violence for good measure. It was fairly effective–because they have a reputation of delivering violence, fire bombing buses and taxis and (just this week) trashing local newspaper offices. Friedl Castro definitely had a point about revolution: it is not a bed of roses. Democracy is also a long, painful, and convoluted process. From 2011 to 2013, Baburam Bhattarai, the Maoist party’s ideologue, who has a degree in urban planning, was Nepal’s prime minister. It is his vision of widening Kathmandu’s narrow roads that is slowly untangling the capital’s horrific traffic jams. If only the contractors had remembered to add drainage ditches. This entry was posted in communism, corruption, Everest, garbage, hinduism, India, Kathmandu, Maoists, Nepal, nepal government, pollution, roads, south asia and tagged baburam battarai, china, communist revolution, Donatella Lorch, everest, festival, fuel, garbage, himalayas, Hinduism, India, Kathmandu, Kathmandu Valley, landslides, maoists, marxist-leninists, mass killings, Nepal, Nepal news, pollution, prachanda, road construction, road maintenance, shortages, trekking, World on August 27, 2014 by Donatella Lorch. Brilliant piece! History, culture, travelogue, news–feels like I live next door to you, except that I’ve never been to Nepal. Thanks, Dony.